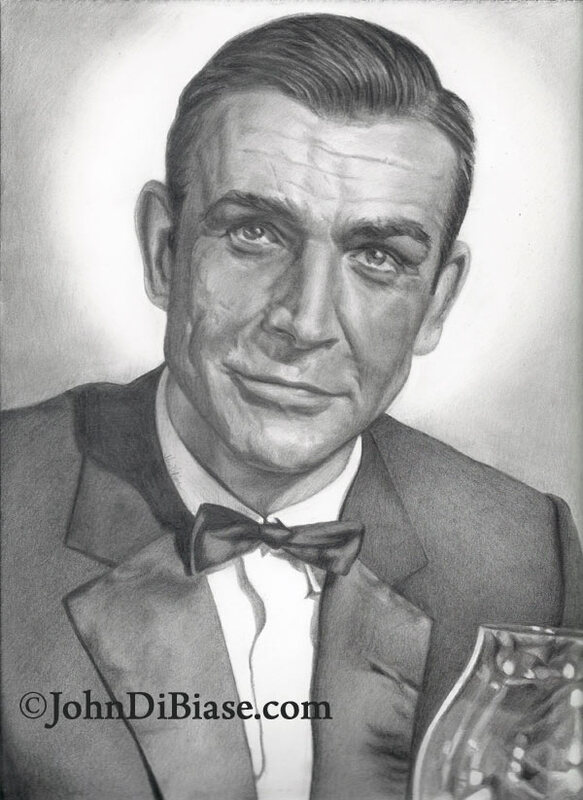 After finishing the Indiana Jones drawing, I decided to return to drawing something from scratch and worked on this image of Sean Connery as James Bond. I’d wanted to draw him, but didn’t want to draw one of the most commonly seen iconic images; there were enough drawings of those. I thought something unique would be best. This was completed in May 2013 with various grades of graphite pencils.